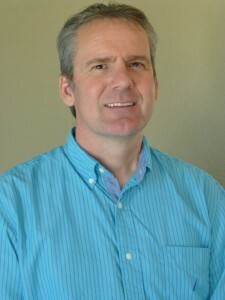 Rod Kent – Utility Mapping Services, Inc.
Rod Kent is a registered professional engineer (NV, MT, WA, OR, AZ, ND) who has worked for UMS since October, 2006. Mr. Kent’s experience includes SUE project management and utility coordination in Montana, Utah, Wyoming, South Dakota, Idaho, Washington and Oregon. Mr. Kent’s’ experience in the utility industry includes 11 years as a design/project engineer with NV Energy (formerly Nevada Power Company) in Las Vegas. Prior to that, Mr. Kent spent 5 years as a Liaison Engineer with the Boeing Co. in Renton, WA. Mr. Kent is familiar with all types of utility systems and utility project issues. He has extensive knowledge of the national SUE standards “Standard Guideline for the Collection and Depiction of Existing Subsurface Utility Data (CI/ASCE 38-02)”. Mr. Kent is focused on ensuring the quality and accuracy of the SUE project deliverables.